My most loved bow bag! No matter which bag I buy, I always come back to my trusty bow bag, I just love it. I've had it for a good few years, ever since 2013 I think, but I find myself reaching for it time and time again. I have been taking this little bottle of Everclear eye drops with me everywhere from Vision Direct. I hadn't thought of taking eye drops for hayfever before, I had no idea they could help. On a hot day, you're being hit by blinding sun and wind blown hair in your eyes and then your nose and eyes start blistering, burning and watering everywhere... you sneeze about fifty times nonstop and pretty much fall in to a bush. My eyes and nose forever itch and burn... does anyone else get that thing where your ears are almost itchy? Just me? Despite taking medication for it I constantly go around with blurry uncomfortable vision and an itchy, stuffy nose. The bottle fits so easily in my bag or even pocket. You only need two or so drops to moisturise and refresh the ocular surface of the eye and it soothes any discomfort, I swear it's helped my itchy, irritated eyes, especially when travelling. They are so much easier to apply than I thought and a bargain at under £4. 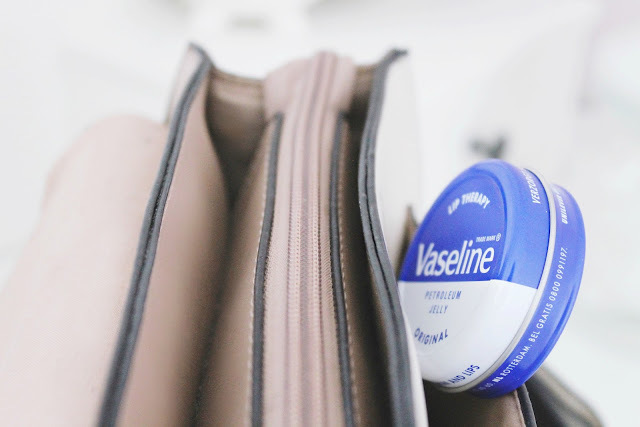 Vaseline is an amazing essential when pollen levels are sky high as it helps to hydrate and protects chapped skin from becoming sore around the nose and mouth when you've been nose deep in tissues for a good while. I've also heard that lining the edges of the nostrils with Vaseline can help to trap pollen before you breathe it in. Next up, my Primark purse and keys. I definitely look ridiculous and about five years old pulling these out but I couldn't resist them. At least they are easy to find in my bag and they accord with the rest of my pink things! 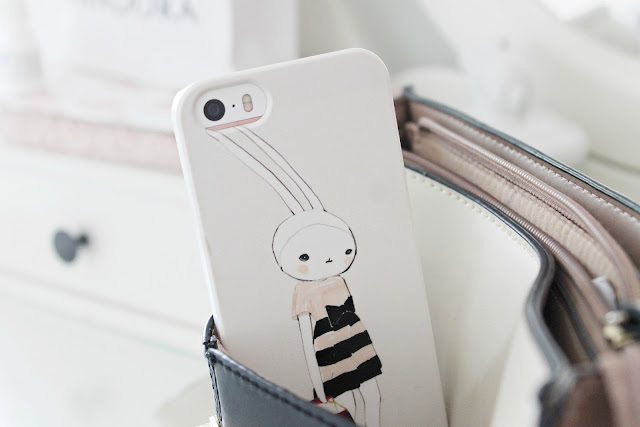 Phone and fifi lapin phone case. 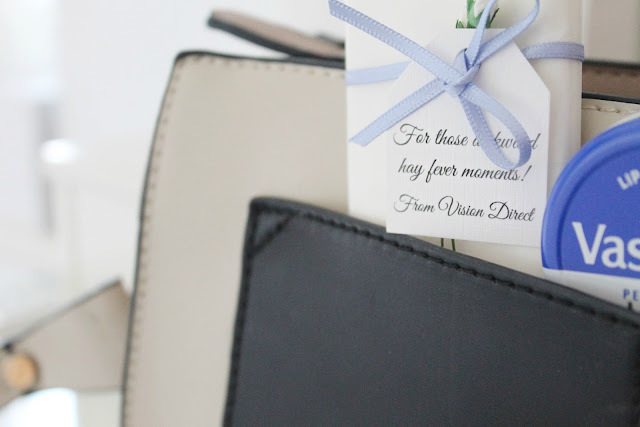 I love how the blush, white, black and grey hues match with my bag. I keep my sloth notebook and ipad in there too. These are pretty bulky things to carry around but I love to take a notebook with me in case inspiration strikes at a random time haha, blog ideas seem to usually hit me if I go out somewhere, I'm inspired by things I see around me. I bought in Urban Outfitters, in the Central 23 section. A Victoria's Secret body mist. The mini size is so cute and I love that it has glitter swirling around inside and it smells amazing, like peaches and flowers. I don't spray it that often, especially when my hayfever is bad because I don't want to set my nose/eyes/sinus pain off again but it is lovely and refreshing to spritz on hot days. Always take tissues! Mitch teases me that I go around dispensing tissues as I keep spare handkerchiefs in my sleeves, tucked in my waistband, pockets, through every season; I've habitually done it since school. What a gorgeous bag! And I totally love your key ring as well. Eye drops are essential for my hay fever, my eyes are what is affected the most! Tehehe I love these kind of posts, too! 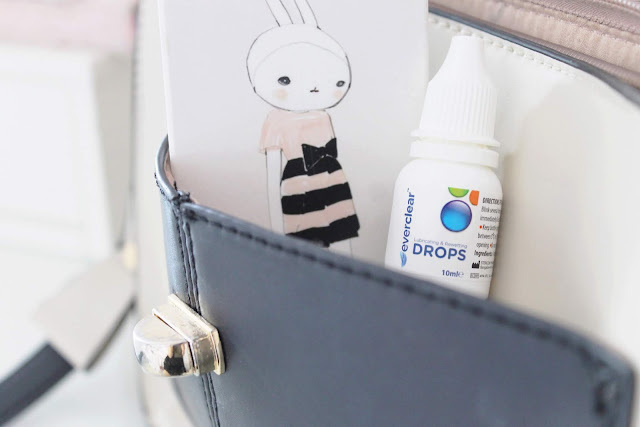 I've never thought about taking eye drops instead of my tablets for my hayfever, but I'm scared to take the leap in case it doesn't work... Btw that phone case is super cute, and so you! 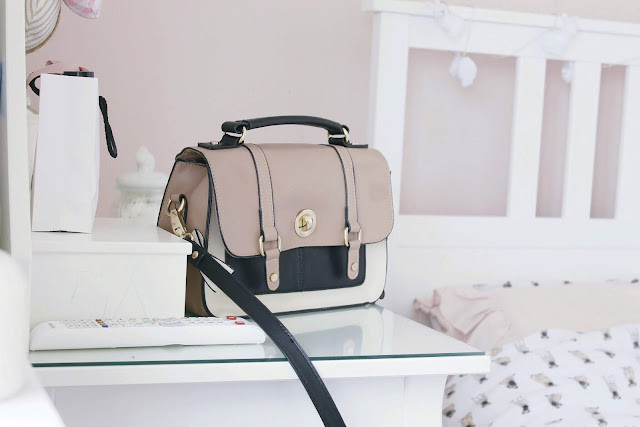 This bag is so cute, love the color combo! I have always a hand sanitiser gel in my bag and a face mist now that the weather is really hot. your bag and that primark purse are so cute! 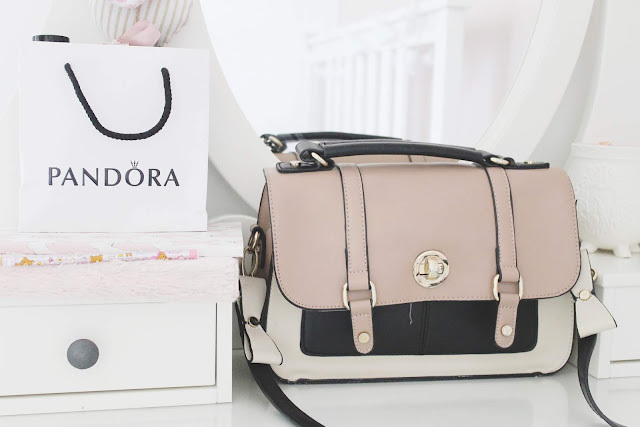 This is such a pretty handbag! I love your bag, and it still looks great although you've had it for so long! 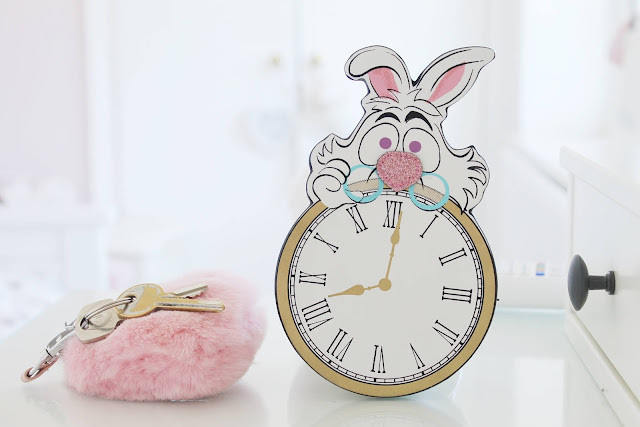 The Primark purse is sooo adorable haha, I was tempted to get it myself when I saw it in the shop. I really enjoyed reading this post. I also love what's in my bag blog posts and youtube videos. Your phone case is so cute by the way. Can't wait to read more posts from you.